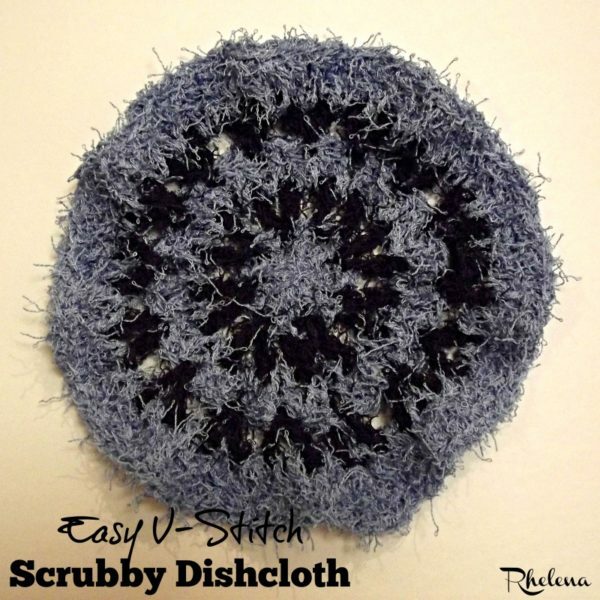 This scrubby yarn crochet pattern is for an easy v-stitch scrubby dishcloth. It is worked in the round with two colors for a nice effect. The scrubby yarn makes it a bit harder to see the stitches. And so for this dishcloth I chose to work with the V-stitch. It did the trick, making this a quick and easy scrubber for your kitchen. And, if you like, you can also crochet this in a regular yarn as well. Finished Size: Approximately 7″ across. And don’t forget to check out the crochet dishcloth collection on CPB.